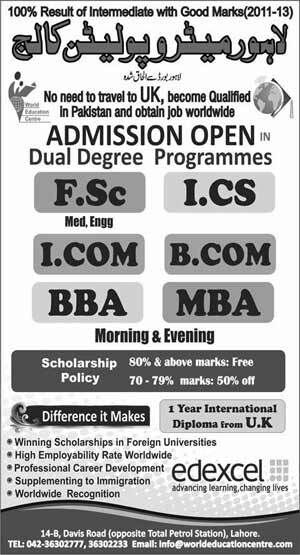 Lahore Metropolitan College Lahore start admissions in F.sc, I.cs, I.com, B.com, BBA, and MBA morning and evening classes. Lahore Metropolitan College Lahore gives the scholarships if you have 80% or more than 80% marks free education, and 50& off education fee for those who got 70 to 79% marks. 100% result of intermediate with good marks 2019-2020 session.